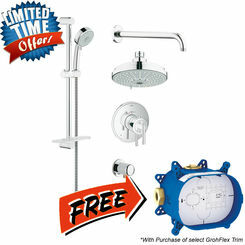 Update your bathroom with PlumbersStock, and save on all the best options for shower faucets online. 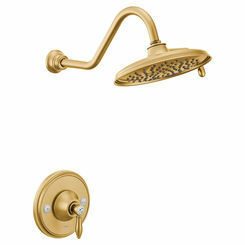 If you are just looking to update your shower fixture, then you have come to the right place. 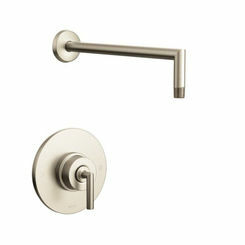 We have great brands, as well as prices you won't find anywhere else. 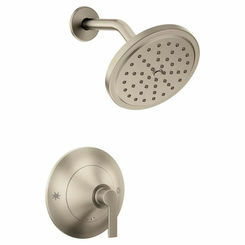 No matter what you are looking for in terms of shower faucets, we have the best deals. 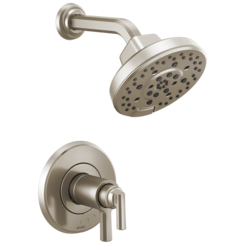 Few things are more relaxing than a nice hot shower after a long day at work, so save on a new shower faucet install for your master bathroom. 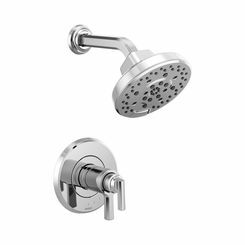 Offering a host of the plumbing industry’s best shower faucets and bathroom accessories, here at PlumbersStock.com, you can find your very favorite brands, including Symmons, Kohler, Delta, Price Pfister, and more. Be sure to grab a new shower rough-in valve to match your trim, if you don't already have it or your faucet doesn't come with one. 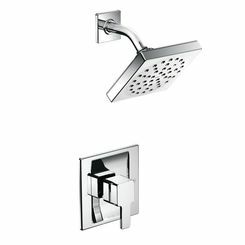 Standard shower faucets: These are your average, everyday faucets with few features. For the most part, they offer a few basic water flow options (stream, massage, standard flow, etc. ), but they won’t do much else. 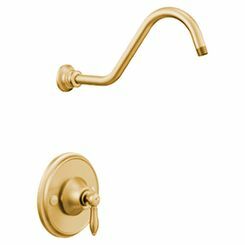 They do come in a variety of styles, giving you plenty of choices when trying to find the perfect match for your bathroom design. 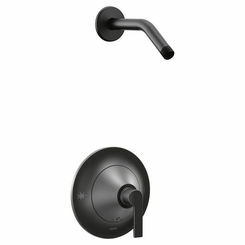 These are perfect for those looking to save a little bit of money. 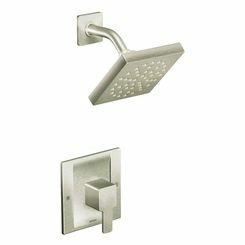 Monitor Shower Faucets: “Monitor” refers to the square shape of the head. 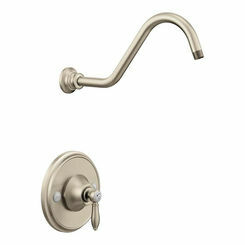 This type sends a sheet of water cascading from the faucet, making them perfect for massaging showers and relaxation. 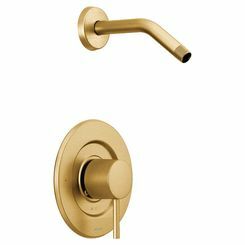 Most of them—particular the higher models—come equipped with a multitude of useful features, and all of them exude class. 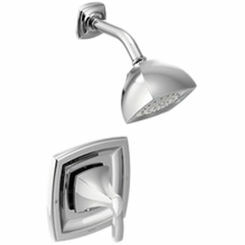 They are great for modern style showers. 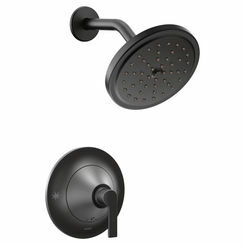 Top Mount Showerheads: Unlike the previously mentioned showerheads, these are mounted to the ceiling (while the others are mounted to the wall). 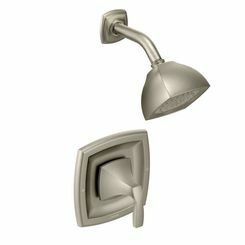 This offers a perfectly vertical flow, perfect for soaking and for even application. 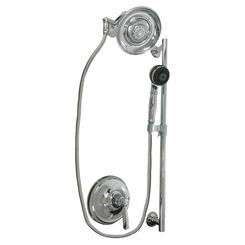 Many of these showerheads also come with water wands, as well as a multitude of features, not unlike the monitor showerheads. 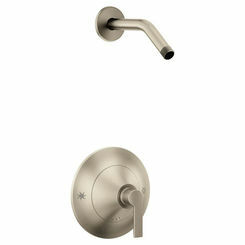 Sliding Shower Faucets: This modern bathroom shower faucet style gives infinite flexibility within the shower. With the ability to move the head on a slide bar throughout the shower, you can adjust for height, location, and more. 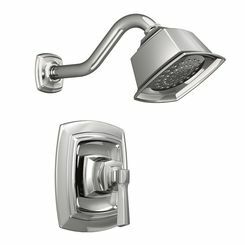 They are perfect for showers who have people of varying heights using them. 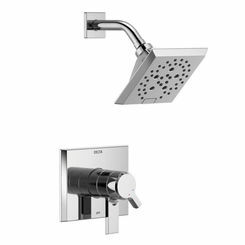 Call today for more information concerning our wide selection of bathroom shower faucets, or to find out more about our shipping and warranties. Thank you for visiting, and we can’t wait to hear from you soon! 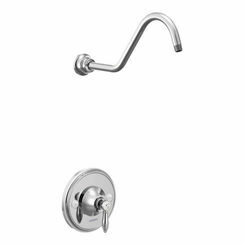 Shop around and find matching bathroom faucets for the entire bathroom or complete repairs with faucet parts.